Some time last year, via the kindness of Goldspot Pens who gave me a discount based on the fact that I am a fountain pen blogger/reviewer, I bought a bunch of pens. That included the Kaweco Sport and some Sheaffers (which I will review later). The Sport comes in a nice black box with some brown swirly motifs, making it look elegant for an inexpensive pen. Unopened boxes of the Kaweco Sports. So, after they have finally made their decisions, I ended up pretty much getting one of each colour, and a transparent one with a fine nib to keep for myself. 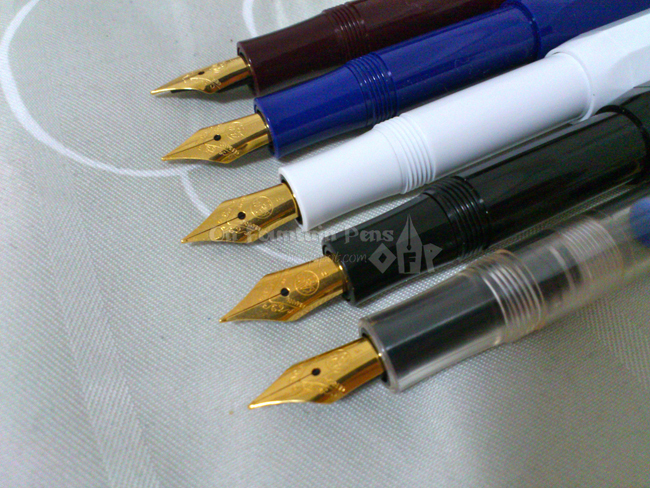 And so this kind of started my interest in mini-sized fountain pens! These pens measure just about 10.5cm capped and 13.5cm posted. That means it’s a real pocket-sized pen that transforms into a nice length for holding when using it posted. After the Kaweco episode, I started getting on the hunt for mini-sized pens; the smaller they are, the greater my excitement! But that’s another story for another post another day. These little Kaweco Sport pens are really light. The body is made of injection-molded plastic so it does not weigh down on the hand. 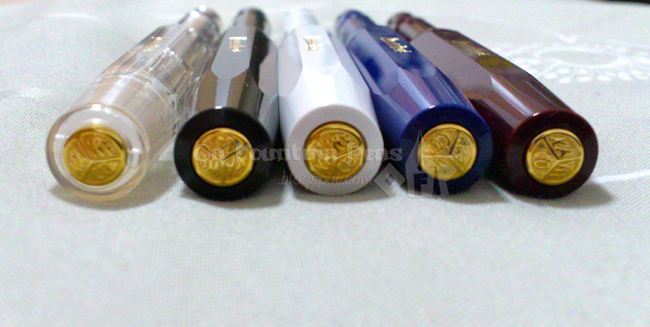 On the cap there is a gold engraving of the brand name “Kaweco Sport’. It gives a nice touch to an otherwise plain-looking body. But “plain” here does not have a negative connotation. While the entire body is one solid colour, the cap is faceted so it gives some kind of dimension and character to it. The cap is a screw-on and it takes only one single turn and a little bit more to get it off. That’s pretty convenient if you want to make some quick notes with this pen. It, however, does not have a clip, but that doesn’t matter because the facets of the cap prevent it from rolling around. But if you are used to having a clip on your pen, there is a NICKEL and a GOLD version. The clip is really cool, because it is also faceted, which means it should fit on the cap snugly! I did not get the clip for myself because I personally felt that the Kaweco Sport looks nicer as-is, so I’m not able to review it properly here. The Kaweco nib is made of gold-plated steel and it writes pretty decently. It didn’t require any smoothing out and writes nicely out of the box. But just for good measure, I ran it along my nail buffer to smooth it out for my left hand anyway. 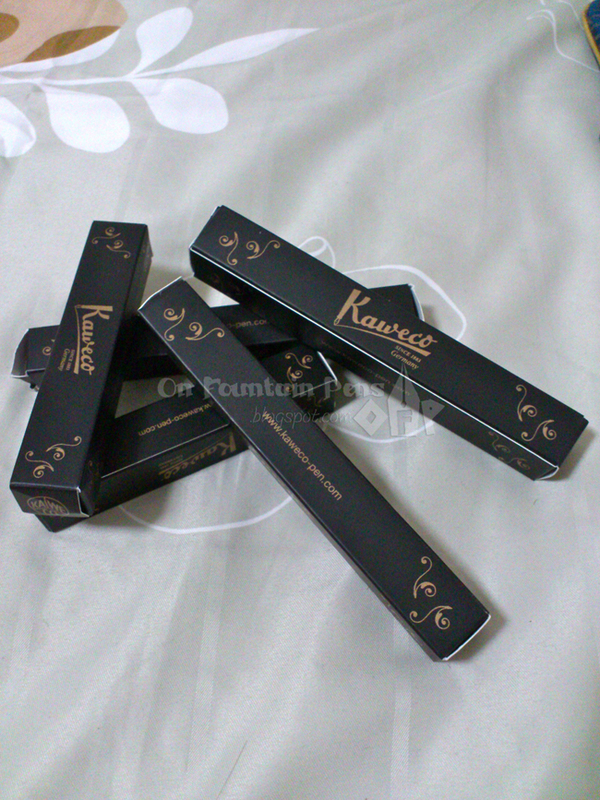 There are some little swirly motifs on the nib, just like those on the box, and also a little round Kaweco logo. That’s the little button on the cap of the pen! It’s also gold-coloured and bears the logo. It is slightly pointed and the apex is right at the middle of the circle where the three lines meet. Once again, its gives dimension and character to the pen. I realised that the parts I like most about the pen are these little golden highlights in an otherwise simple pen. One convenience of using this pen is that it accepts the international cartridges. You’ll probably have to use the short type, though, since the length of this pen limits the size of cartridges you can use! As for the converters, I did not get any when I bought the pen last year, but an article by FPGeeks in March this year actually mentioned a new KaweConverter! 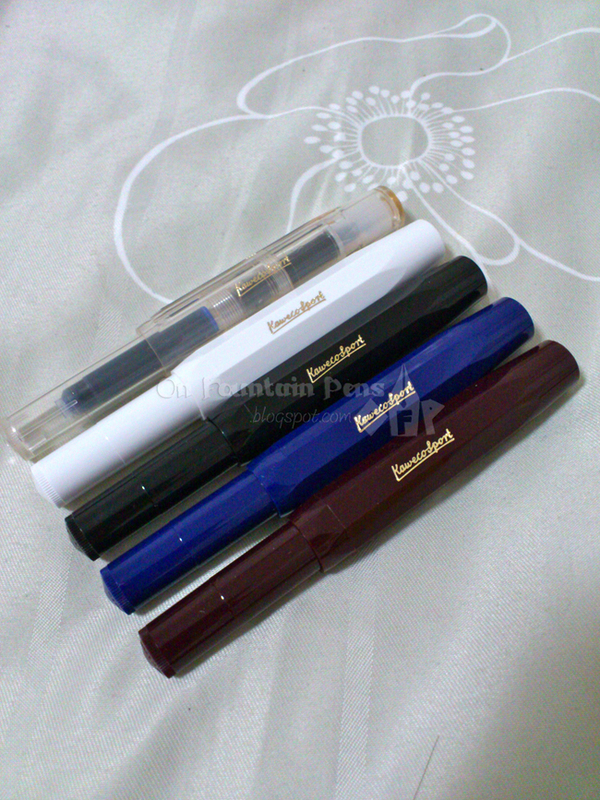 It is a squeeze-type converter specially designed for Kaweco Sport pens. Squeeze type converters aren’t actually my type of thing, so I probably am not planning to get it. I’m quite happy with the cartridges so far. But if you’re interested to know more about it, here’s FPGeeks’ awesome video on the converter! Coming to the portability of this little Kaweco Sport. It of course fits nicely in most pockets , and if you have a clip, you could clip it easily to a notebook as well. But for those looking for something else to go with the Kaweco Sport, how about a Kaweco Sport leather pen pouch? The results are out, and I'm sorry that I have delayed posting the results up! I converted my transparent kaweco into a eye dropper since day one….a very good work horse pen indeed ! Never fail on me for the years I have it ! thanks for the review ! Hi there Joel, thanks for your comment too! Was really tempted to keep all the colours lol.